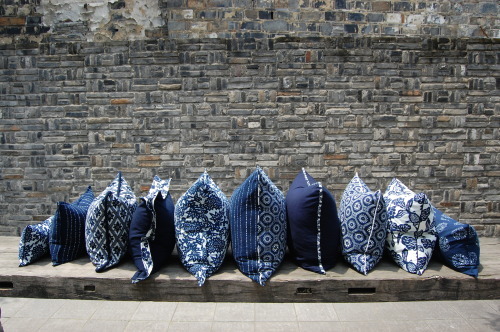 Liza Serratore and Claire Russo moved to Shanghai about 4 years ago and formed an instant connection with Nankeen indigo dyeing. We were simply floored at its beauty, and started LuRu Home both to patronize the artisans who practice this craft, and to share Nankeen fabrics with the wider world. Dating back to the Shang Dynasty (some 3,000 years ago), Nankeen dyeing is still practiced by hand using natural, chemical-free indigo and other dye materials. LuRu home will be showcasing both their contemporary and private collection of vintage fabrics. Stay tuned for more, and be sure to come check out LuRu Home’s work at Parachute Market September 20-21st.